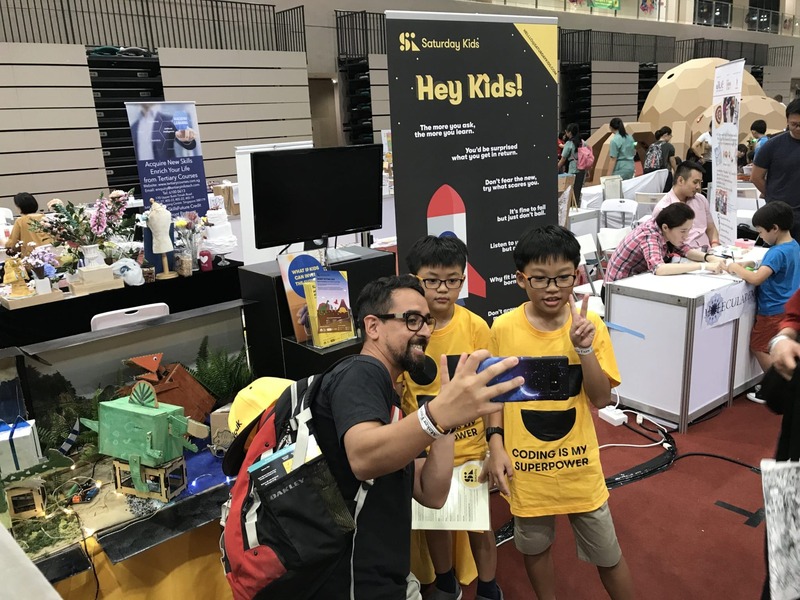 SATURDAY KIDS GOES TO MAKER FAIRE 2018! Last weekend was finally the event that our team had been looking forward to for weeks – Maker Faire. creates opportunities for conversations with Makers. 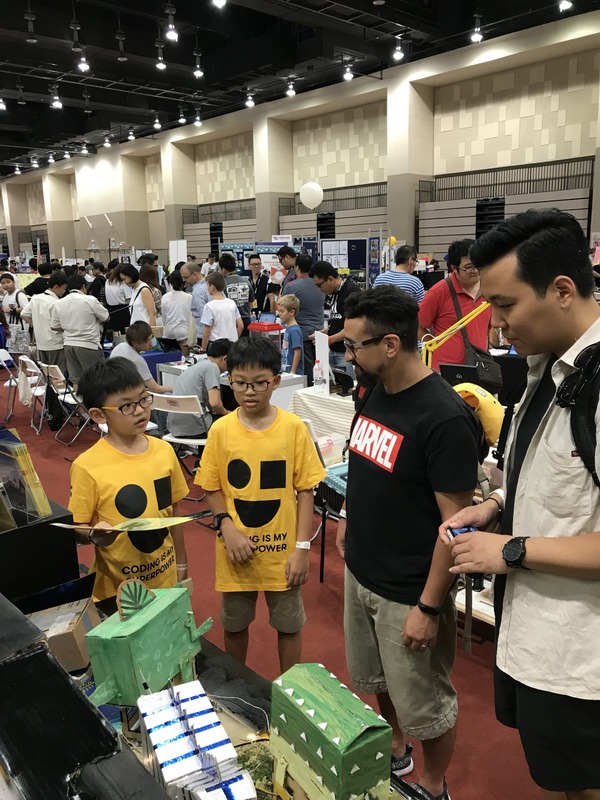 Tech enthusiasts, crafters, educators, tinkerers, hobbyists, engineers, science clubs, authors, artists, students, and entrepreneurs all come together to show their projects and to talk about what they have learned. 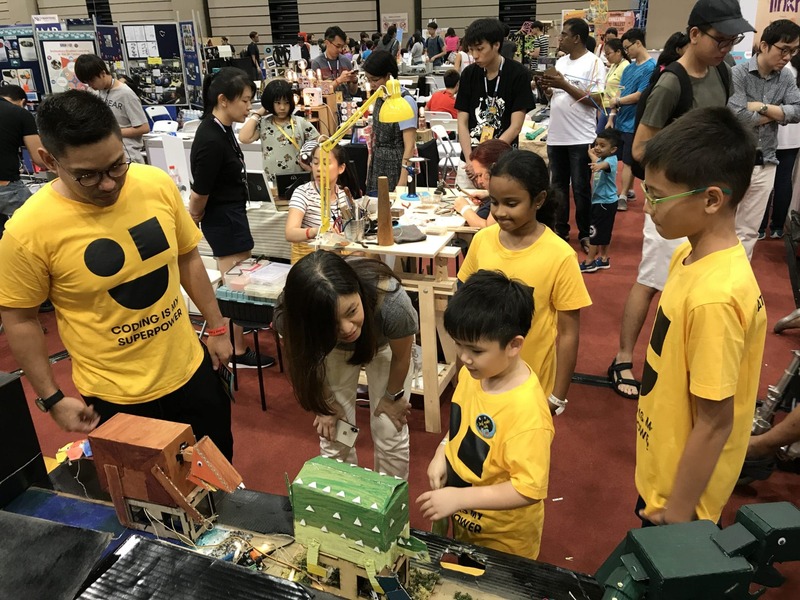 It is a community-based learning event that inspires everyone to become a maker, and connect with people and projects in their local community. 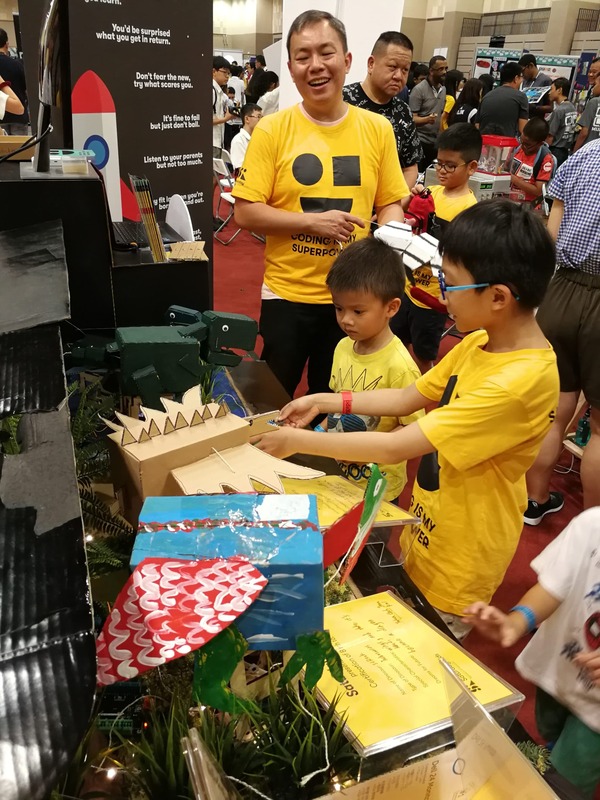 The theme for our booth was Robot Petting Zoo – Prehistoric Predators edition, in line with one of our newest courses, Prehistoric Predators: Into the Wild World of Tech. In the lead up to the event, we invited a few of our students to create their own Robot Dinosaurs (or Dinobots as we fondly call them). Here’s a look at what went down at our Jurassic-era Prehistoric Predators showcase. The robot dinosaurs were built using a combination of craft material and the Hummingbird Robotics Kit. 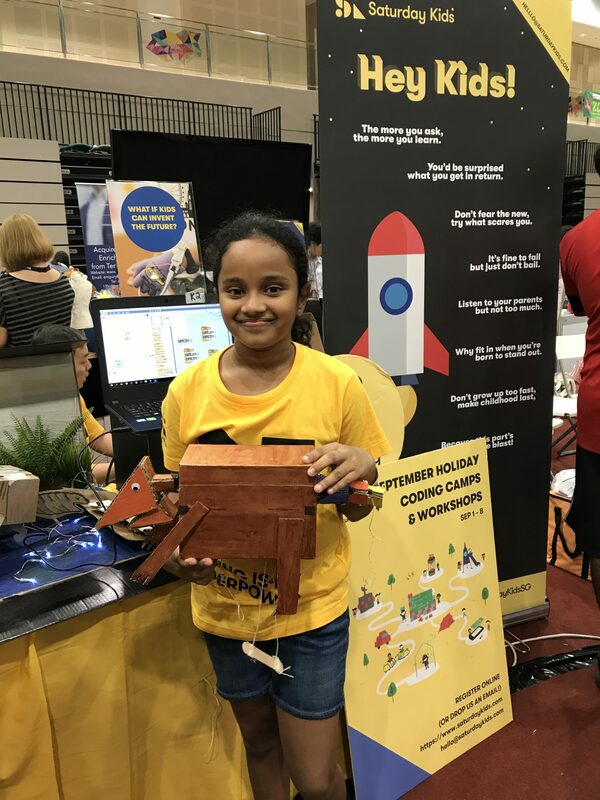 Inspired by the original Robot Petting Zoo (RPZ) by TechHive, we brought this concept to Singapore and introduced it as a part of our curriculum to inspire our kids to be curious, inventive & resourceful. We first introduced it in March during our March holiday camps and it’s seen a lot of growth since then. We love the idea of kids creating their own robo-pets with the Hummingbird Kit and our efforts since March have been directed towards providing kids with the necessary tech skills and scaffolding to facilitate their tinkering. We believe that kids express their creativity while developing programming, physical prototyping and design skills, and this is a perfect combination that covers nearly all aspects of STEAM education. This year, we had some of our past & current students build their own Dinobots to present at Maker Faire. These talented kids came down a week before the event to build and code their robots. For a look at the behind the scenes process of building a robot dinosaur, check out our other blog post here. It was a long process but the kids persevered and had some beautiful Dinobots to show off at Maker Faire! And the kids were amazing! They shared about their Dinobots and their creative process with people who stopped by the booth and it heartwarming how proud they were of their projects. We’d like to extend our thanks to the parents of these students for being so supportive and patient towards the lead-up of this project! 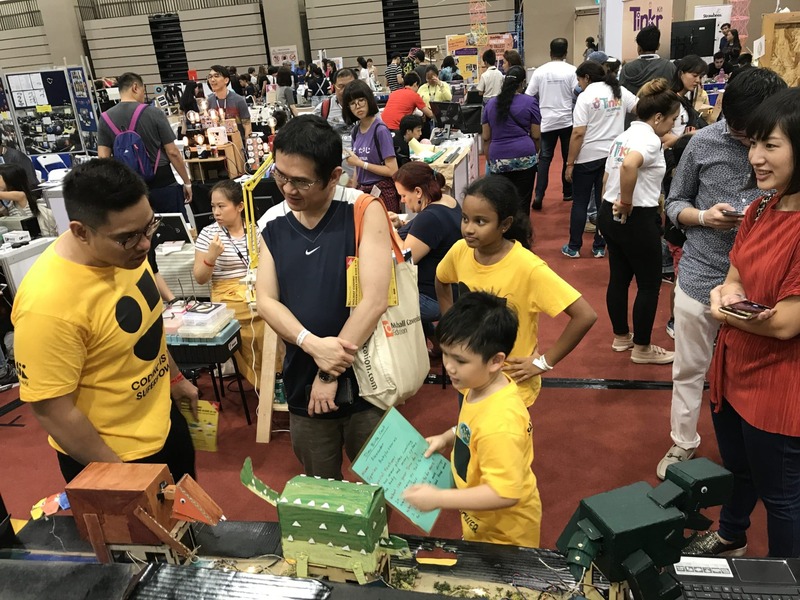 We hope the kids had fun at Maker Faire and learnt not just about Dinobots but had the opportunity to interact with many other Makers and enthusiasts at the Faire. We hope it’s inspired them to keep building, creating and to stay curious about the world and opportunities around them. At Saturday kids, there’s no lectures, no memorisation, no ONE right answer. Like real life, we’re all about trying things out yourself, failing, figuring what went wrong and trying again. These are the skills & mindset that will last a lifetime and shape how we learn in real life. Let’s teach kids how to learn. 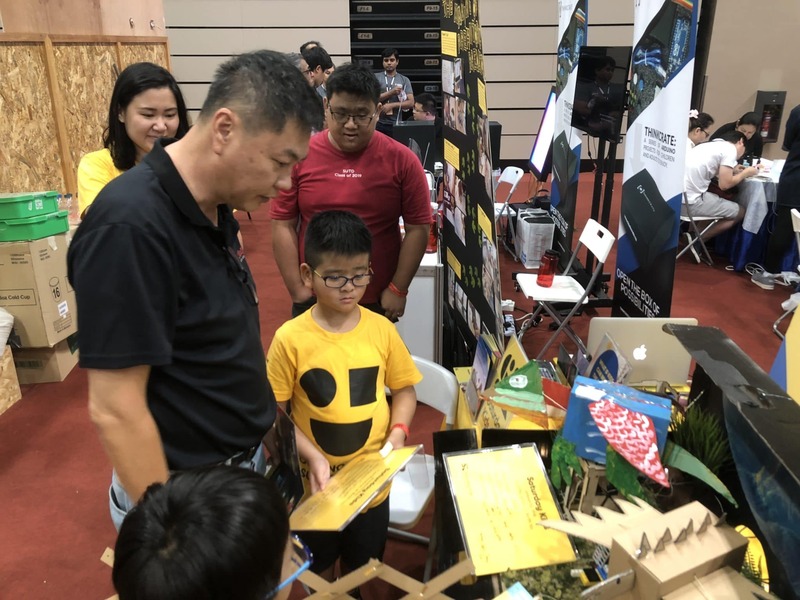 We hope to keep involving our kids in projects and events like these because the kids who learn to learn become curious, inventive, resourceful human beings who solve real world problems to make a meaningful impact. Maker Faire aside, it’s not too late to sign up for our September holiday programme of 5-day camps and 1-off workshops happening from Sep 1 – 8. 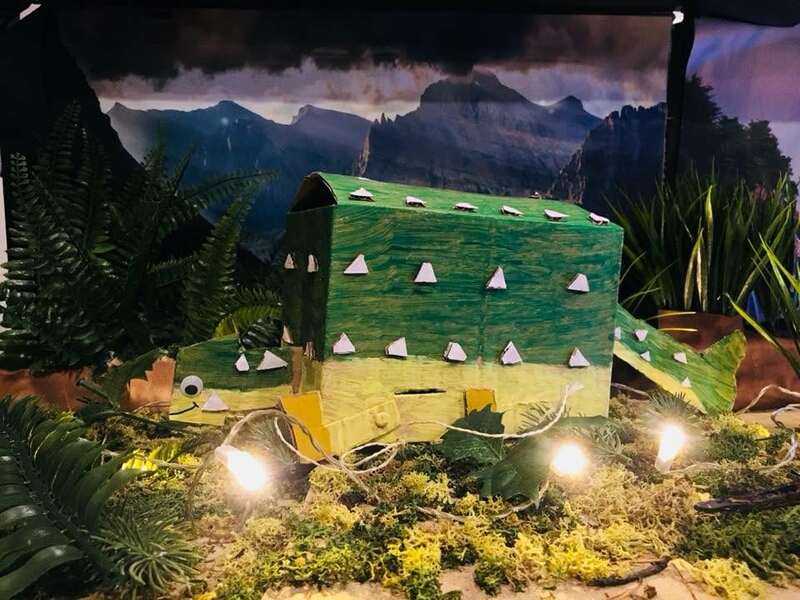 Check out our Prehistoric Predators: Into the Wild World of Tech 5 day camp happening from 3-7 Sep or our Build a Robo-Pet 3 hr workshops on 1-2 & 8 September. Full schedule here. Previous Post Start Your Child’s Coding Adventure with Scratch!